Like all tools, the real value comes from not what they can possibly do but rather what you really do with them. 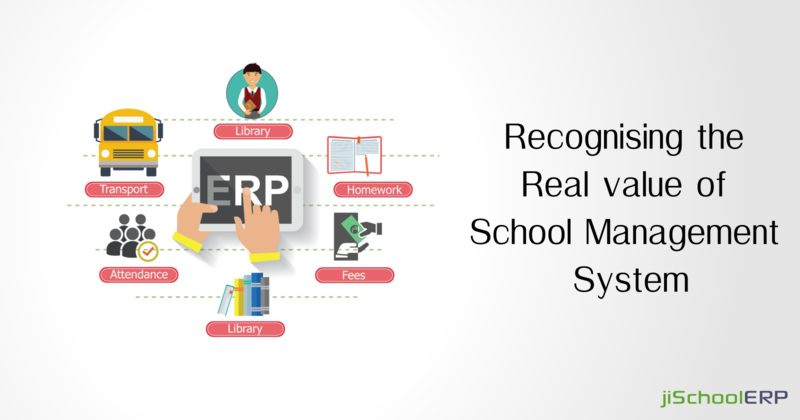 This is especially valid for school management system which can bring significant efficiencies to the school organization. The issue is that these systems generally have an overwhelming amount of functionality that can end up unused or worse, completely misused, eroding the value of your investment. Of course, the entire purpose behind considering a school management system is to increase efficiencies and decrease costs. It is not difficult to make a case for how beneficial a fully featured system can be. In particular, you will benefit from huge reductions in paper usage due to all your data being stored, shared and consumed online. A system will also bring a decrease in employee hours due to the automation of many previously manual assignments and in addition, a saving on time wasted in meetings and emailing, thanks to messaging and notifications. However, below we have discussed a few more features that enhance the value of a school ERP. With legitimate planning and support, schools will amplify the value of their venture. Strong help from your product vendor is critical to ensure you capitalize on the functionality on offer and is probably the single most important factor while picking school management software. Support is the way to understanding the maximum capacity and can be the 'make or break' for success. Using technology for administration is generally a smart move yet it can require new skills, expertise and has specific on-going demands, complex expenses and prerequisites. A system like jiSchoolERP is given as a service, in other words, to take care of all the complex technology on our own infrastructure and provide secure access through a normal web browser to all our users. Think about it, no extra pressure on your IT department, no software to install or to keep up to date. No costly servers and network hardware to purchase and maintain. Simple annual budgeting with no surprises. All that is required is an internet connection, username and password. A significant responsibility and now a priority for many organizations around the globe, data security requires specialist knowledge and constant vigilance and must be a key factor in surveying the value of a school management system. Security-related audits can be costly, however, are gradually becoming requirements around the globe with GDPR laws right now driving the way. It is important that not all vendors prioritise security and you should search for proof that the vendor holds globally recognized certifications. Complete data backups are important yet require much more equipment and IT resources. Basically, a SaaS vendor should completely protect you from accidental data loss and be clear about the responsibility for information. It would be unusual for vendors not to offer data backup however some may have hidden charges related to restoring your information. The minute you begin storing and managing your students' information is the minute data back up turns into the difference between full-scale disaster and a small hiccup. Functionality is without a doubt important while surveying value. Without a pledge to incredible help, solid data security and the provision of infrastructure, a decision based on features alone can wind up looking more like a terrible aftereffect than a smart move towards effectiveness. Better proficiency eventually abandons you with more time and resources to convey a genuine incentive to your students.